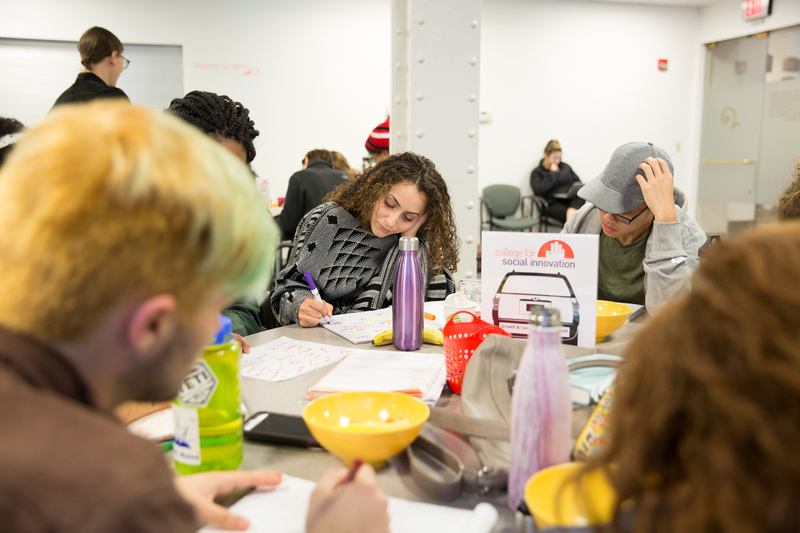 An internship opportunity out of Boston is turning the passion of college students into real-world work experiences in the social change sector. If there was an internship to save the world, would you take it? 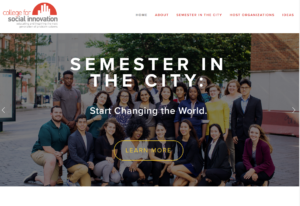 The College for Social Innovation in Boston, Massachusetts is redefining the college internship by offering students a chance of a lifetime: spend a 15-week semester in the city, become an intern with one of CfSI’s vetted organizations and learn how to work in the real world. It is giving students a chance to be the change they wish to see in the world while creating something that is desperately needed in the social sector: a reliable talent pipeline. The social sector has exploded in the past decade with the number of organizations growing by 25 percent. A survey of social sector leaders from the McKinsey Global Institute reported that they believe widespread underinvestment in developing talent is leading to a gap in job openings and the number of leaders to fill them. Since predicting the explosive growth in the social-sector in 2006, the Bridgespan Group reported that many of these jobs were filled, but demand continues to grow. High turnover and retirements continue the job churn, leading nonprofit C-suite leaders to say that replacing this valuable workforce remains a top priority. 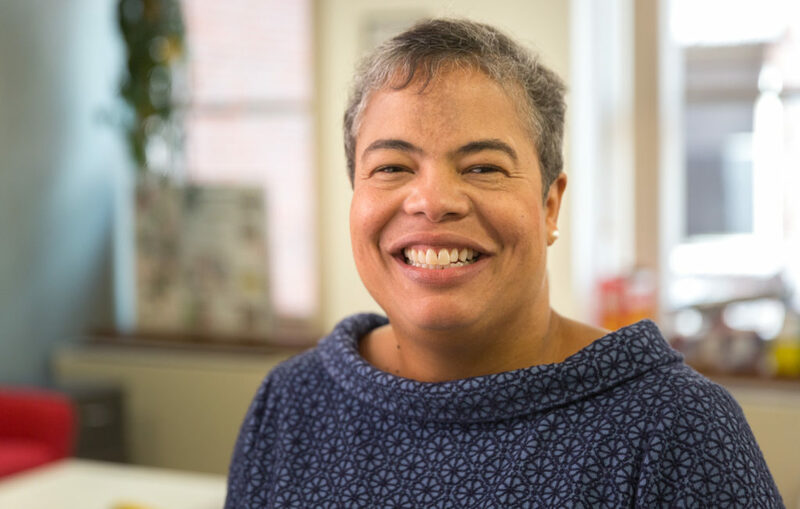 CfSI Co-Founder and Managing Director Lisa Jackson said that this problem is accompanied with the sector’s struggle to draw from a diverse group of young people who want to make a difference but don’t have a defined career pathway to this rewarding work. 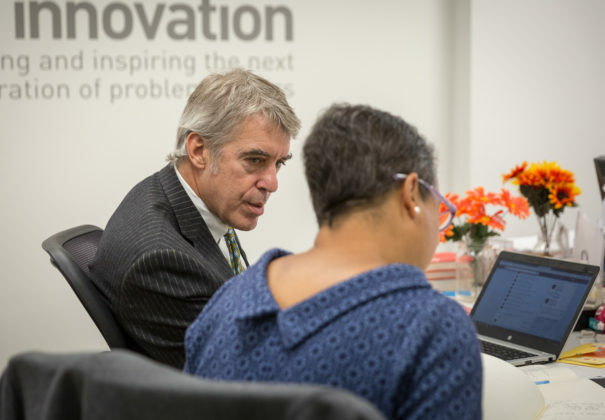 “The College of Social Innovation is a solution to those challenges. 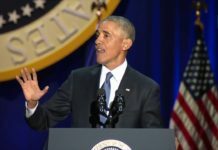 The way that we execute against that solution is to provide college students with a chance to develop a set of skills, a network as well as a sense of purpose that we hope will bring them to the social sector when they graduate,” Jackson said. CfSI and its flagship program Semester in the City have changed the lives and career prospects for its participants, like Clark University students Sydney Boardman and Linda Mindaye. The program has also become a model for future partnerships between nonprofit, for-profit organizations and colleges to deliver a powerful and affordable educational experience. “They are in the world. They are working four days a week. They are taking class. They are living in apartments and we spend time with them, helping them reflect on what’s going on,” Jackson said. 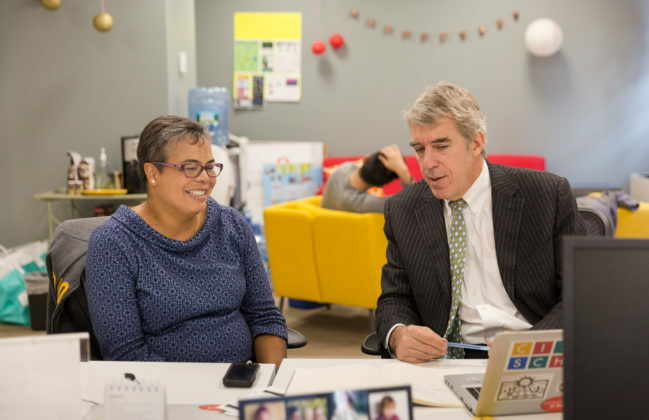 Both Boardman and Mindaye developed a passion to better their world before they heard of CfSI, but the program is unlocking their potential to become leaders in the social change sector. Food justice isn’t something that immediately comes to mind when considering civil rights, but for Sydney Boardman of Cornish, New Hampshire, it’s a passion she developed early on in her studies at Clark University. As a freshman, she took her first-year intensive course at Clark on the social justice movements based around food production and access. She said that the class made her realize that she had been unconsciously working toward a goal of bettering society through solving problems in the food industry. “Then it clicked for me that all my life, I’ve been doing things that align with food sustainability and food justice. In high school, I did a project that studied the biological factors of food. Then I just immediately became a food activist in college,” Boardman said. She discovered CfSI through the recommendation of a former Clark student who told her that the program offered a real hands-on experience in the social sector world. CfSI would work with her in a classroom setting as well as coach her through a full-time internship while living in Boston with her cohort of 24 students. The program would cover the expenses of living in the city to equal what she would be paying at Clark. “I knew immediately it was something I had to do,” Boardman said. Boardman got her application in to CfSI and within a month, she was meeting with CfSI to identify her passion and link her with an internship which would capitalize on her food activism. She said that she didn’t have to wait long to hear back that she was accepted and would be placed with Freight Farms and her mentor Jaime Silverstein. 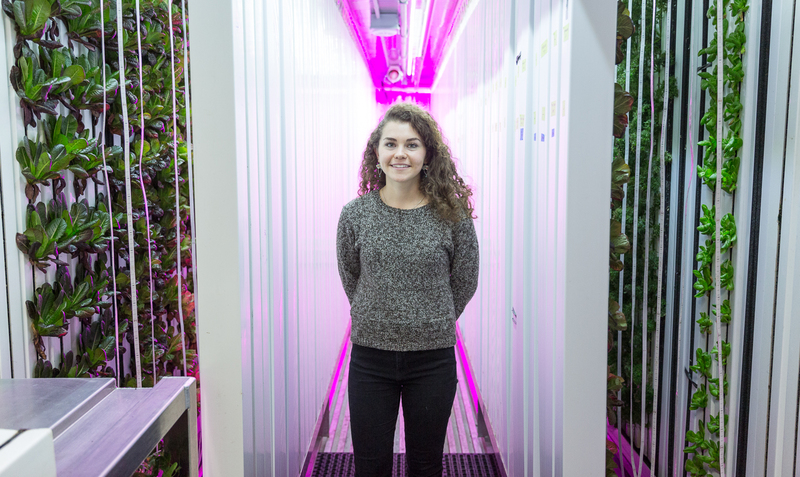 Freight Farms is a for-profit company with a social mission to increase food access through an innovative solution: up-cycling old shipping containers into self-contained vertical hydroponic farms. These “Leafy Green Machines” or LGMs can expand a vegetable grower’s production capabilities throughout the year, no matter the season or climate. Wherever a freight container can land, be it next to a barn or an empty lot in the city, there will be a place for food to grow. 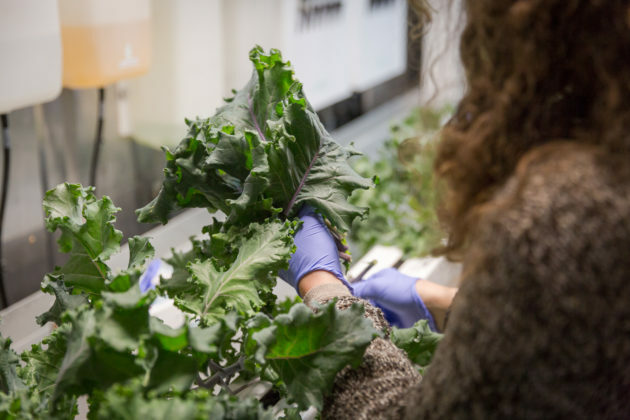 For someone who is passionate about food access, this environmental science major would be connected to the high-tech solutions which can deliver consistent crop yields and help feed the world’s growing population. She assumed that her internship would be a typical one, like running the social media account. Instead, she would be working with Freight Farms’ research and development team. “I’m only 20 years old and I’m participating in things that could potentially change the world or just be a really new experience for urban areas,” Boardman said. 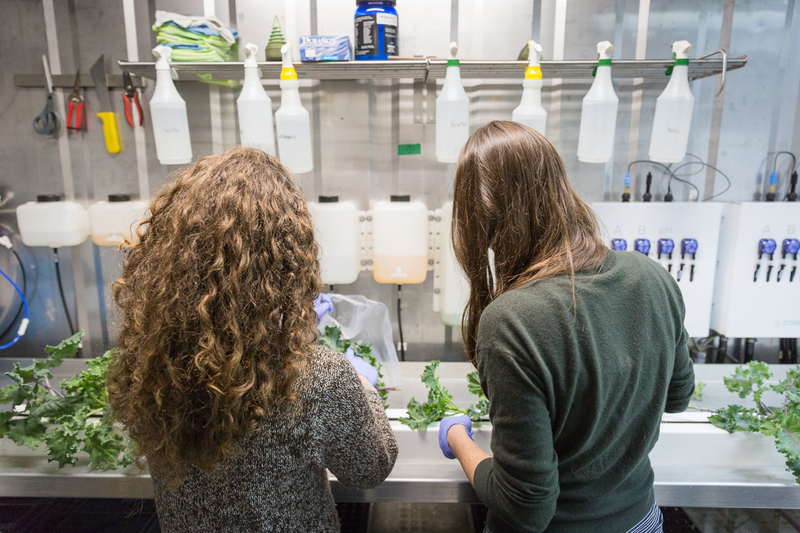 Boardman’s internship is a mixture of work at Freight Farms, four days a week, combined with classroom instruction at the CfSI headquarters on Wednesday evenings and Fridays. 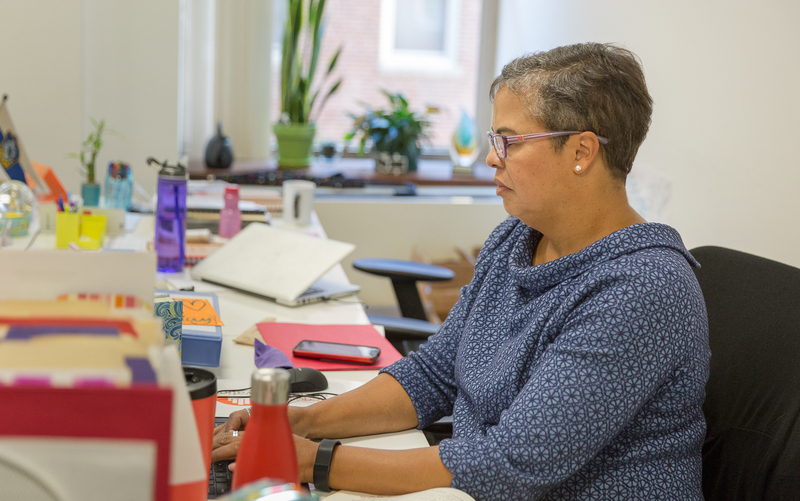 While at Freight Farms, Boardman may be hard at work seeding and transplanting crops or working on her special project, which all CfSI interns must complete by the end of the semester. Her project is on food safety protocols for Freight Farms customers to follow when operating the LGM. The project provides Boardman the opportunity to showcase what she has learned during her classes at CfSI. By taking a leadership role, Boardman must rely on the soft skills that are imparted by CfSI instructors: problem-solving, innovating and cooperating in a diverse work environment. These 21st century skills are increasingly becoming the currency of the job market and Boardman said she recognizes the value of her classroom experience. CfSI’s classes also showed her how she could fit in the social sector world. 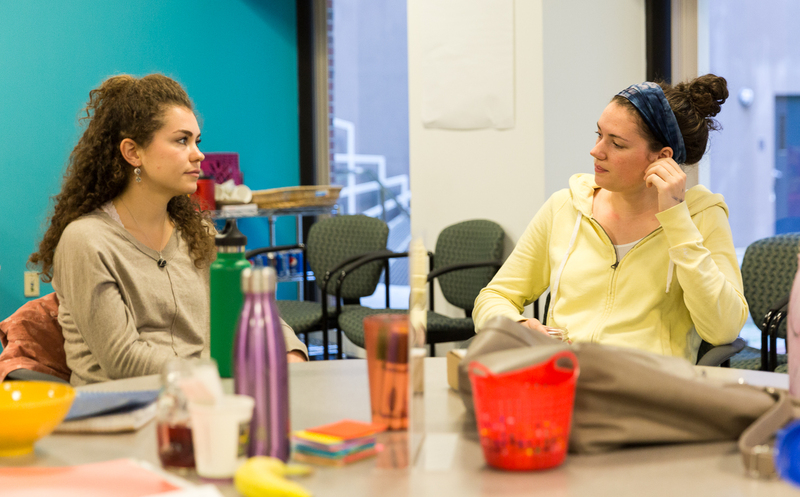 She and her fellow students meet on Fridays to discuss how their internships are part of a larger force for change. They share their solutions to the problems each of their employers are working on as well as the difficulties in solving them. Boardman said that they discuss the tough topics that can divide social classes and the diverse group of students in CfSI each have their say in a supportive environment. “We do a lot of identity building and who are you and how can you contribute who you are as a person in this world and in the social sector. It’s really interesting because it’s a form of holistic learning that I’ve always been inclined to engage in,” Boardman said. Being a CfSI intern brought Boardman out of the college world and into the real world, and with that came with the difficulties facing most working adults: finding the balance between work and life. She said she had to learn how to budget her time, so she could give 100 percent to the program and her personal development. Her experience prepared her for the next phase in life and made her rethink what she will do after she graduates. 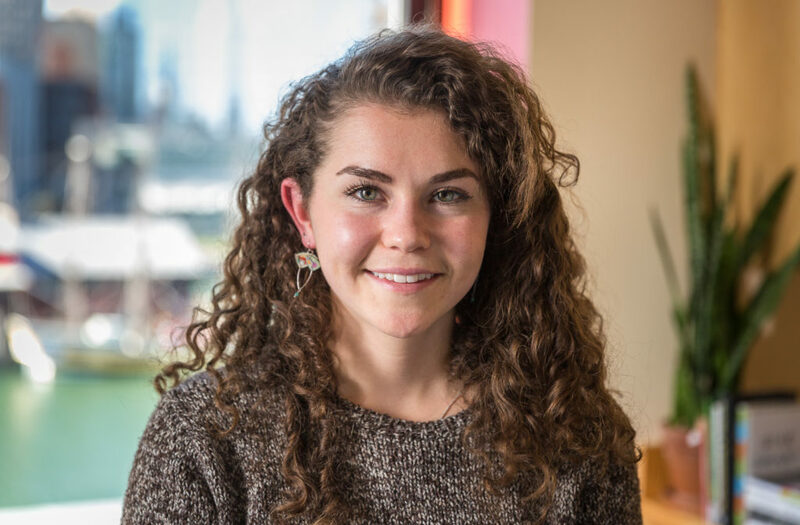 She originally had a plan to enter public relations, but her experience with Freight Farms and CfSI gave her the perspective and the know-how to work with environmental issues and implement solutions. She hopes that she can continue with Freight Farms, but she said she is prepared for any job in the environmental social sector. “Things have shifted because the way that I look at the environment is a lot stronger. The way that I know I can make a difference is supported so much more because I’m getting this experience,” Boardman said. CfSI Co-Founder Schwarz believes that Boardman has a great future ahead of her. “She’s just such a bright light. It has been just wonderful to see her blossom at College for Social Innovation. She has incredible commitment to food justice and to her peers’ learning. She’s got this wonderful mix of ambition and humanity that I think is going to serve her incredibly well as she moves through the world,” Schwarz said. 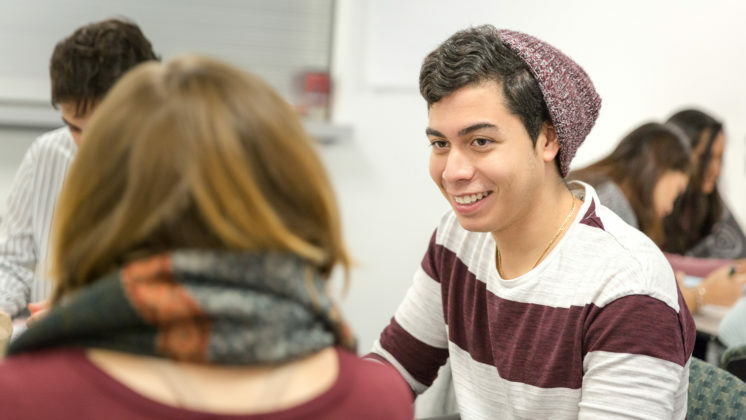 After an intern completes their studies, CfSI will monitor their progress in the job market or graduate school to ensure they have the support to continue their path. According to CfSI Co-Founder Jackson, colleges are becoming more invested in how graduates maximize the return on their investment. 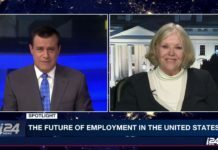 She said that CfSI is leading the way in ensuring college students are prepared to enter the world with the skills employers want. “What we seek is to be held accountable to is the idea that after six months of graduation, they are employed and/or go to graduate school and that they continue to have a sense of purpose in their lives,” Jackson said. 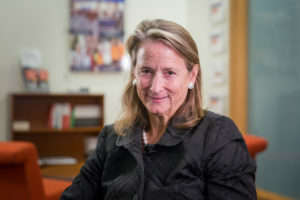 Trudy Van Zee, Associate Vice Provost for Career and Professional Success at the University of New Hampshire, said that the experiential learning from the Semester in the City internship and the CfSI classroom is far ahead of what liberal arts colleges are currently providing to their students. “It is growing in popularity. As a message to students, it’s really beginning to resonate, about the importance of that experiential learning. Internships are certainly one way to do that. But, what this opportunity gives is a semester-long immersion, which is a much deeper and richer experience,” Van Zee said. Getting access to these valuable internships can be difficult for most college students who work their way through school. They are unable to afford taking an unpaid internship, the most popular and competitive form of internship, which restricts their ability to network and gain resume-solidifying experience. According to CfSI advisory board member and Harvard Business School professor Leonard Schlesinger, internships can skew in the favor for privileged students. 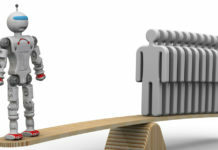 This can result in more social inequality as they are the only ones on the career ladder into leadership positions for organizations that serve the disadvantaged. “The College of Social Innovation does two things. One, it reaches out to a community that by and large has not been addressed in the internship community. Number two, it does it in a way that reaches out to the task of building a generation of people who want to have substantive careers in the not for profit community, who heretofore did not understand what it was or how to break in,” Schlesinger said. Schwarz said that his prior experience closing the opportunity gap for disadvantaged students with nonprofit Citizen Schools informed his mission to increase access to quality and meaningful internships with CfSI. “For a lot of other kids who are playing by the rules and doing everything right: get into college, finish college, and get a pretty good G.P.A., if they haven’t also had the chance to have amazing work experiences and mentors, they’re falling further behind their privileged peers. We want to find a way to equalize access to amazing, life changing internships,” Schwarz said. Schwarz remembers meeting Linda Mindaye on the Clark campus before she became one of the first CfSI students to complete the program. She connected with him because she knew his work with Citizen Schools. This conversation ended up starting her path to an internship with the program Schwarz spent 20 years building before launching CfSI in 2015. “I was just struck by her incredible commitment to opening up educational opportunity for young people through the power of experiential learning. The next day, she started working on her application and she was one of the 14 students who were in our first cohort,” Schwarz said. Inclusivity is what motivates Mindaye and she has focused her studies on helping schools create curricula which can accommodate students from different backgrounds. She draws from her life experience since immigrating to the U.S. from Ethiopia at age five and settling in Massachusetts. She felt that she was always trying to catch up with her peers in school and this drives her to create an environment where her students never have to feel that way. “I think if we change the way that we do teaching, [we can] have a space to include different kinds of experiences without just running past some experiences,” Mindaye said. She had previously spent her summers with the Breakthrough Collaborative where she learned how to work with kids. But her next internship with her CfSI internship with Citizen Schools gave her exactly what she was looking for. “I knew that I could always be with kids in the summer and there were ways to observe classrooms during the school year but there was never a way to actually have my own classroom while also being in school. This program creates a really cool opportunity for you to practice the thing you’re trying to do outside of a classroom while also not like falling behind in school,” Mindaye said. CfSI showed her that it was possible to stay on track and gain the classroom management skills while earning college credit instead of an internship with little accountability on behalf of the employer. Mindaye was placed in a Boston middle school where she taught a poetry class during the week in addition to her CfSI class schedule. The experience helped her decide what she would choose as her primary study, one that she would help create at Clark. She and three other students are the first community youth and education majors. “My major was very much based on [CfSI] but it’s always been an interest of mine I just didn’t know how to facilitate that until I got back, which was really helpful,” Mindaye said. 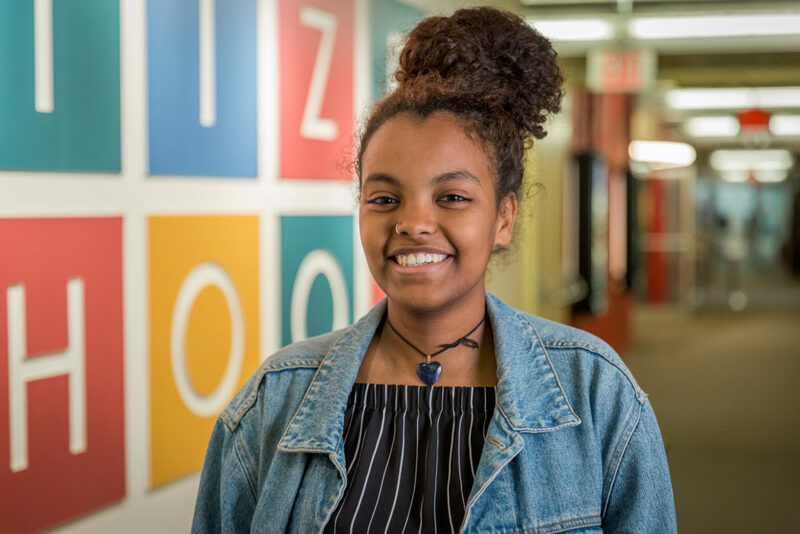 Since her completion of her Semester in the City, she has continued to work with Citizen Schools assisting on a magazine for eighth graders and keeping in contact with her former students and colleagues. CfSI helped her build a network that showed her how to operate in the nonprofit world. “The network I built there has been a really strong foundation for what I want to do and kind of reaffirms that there are doing the thing that I want to do who I actually can go speak to, which I didn’t have before,” Mindaye said. From this foundation, Mindaye said she has the experience and the “backbone” to solve any problem that comes her way when she enters the teaching profession full-time. She believes that she will be a better teacher in the long run thanks to CfSI. 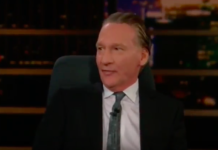 “What this program does, which I think is cool, is that you get to try the thing out in a safe bubble where you’re not ruining people’s lives but you’re testing it out. You’re trying education and maybe you fail one day but you’re also going back to class and learning about that process. I’d be like ‘Okay today I did this, it didn’t work, why? Then you’re problem-solving,” Mindaye said. The success of CfSI’s educational model has paid off for Boardman and Mindaye –they’ve become stronger in their passion to change the world, be it through food justice or educational equality. CfSI shows that it is possible for students of many different backgrounds to gain a foothold in a big city and in the social change sector. 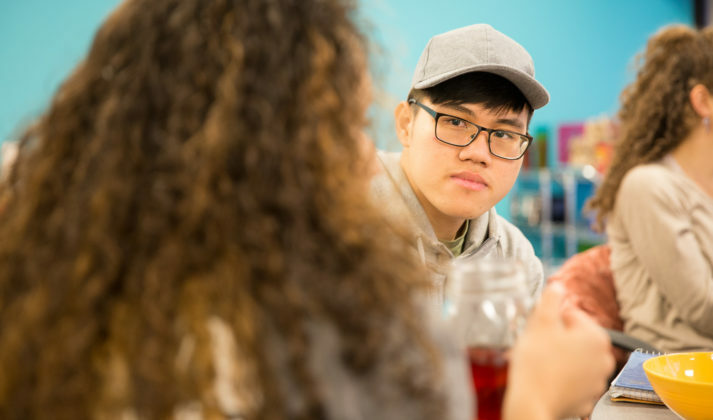 The next step for Schwarz, Jackson and the CfSI team is scaling these solutions outward to other metropolitan areas so more students can learn the soft skills they need to thrive. 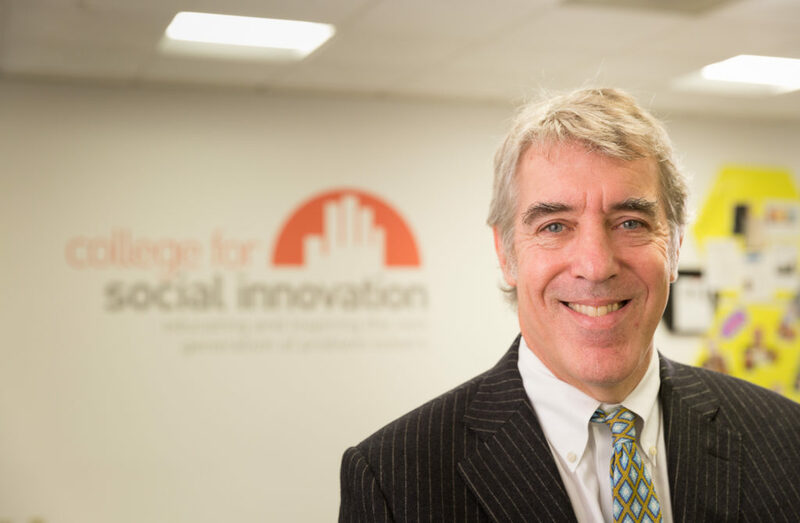 CfSI adviser Schlesinger says it’s evident that this program can work across the U.S. by the immediate impact it has made in attracting more attention to experiential learning and how it can solve the skills and leadership gap in the social sector. 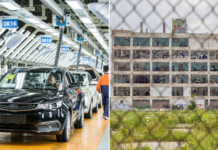 “What I hope is that this serves essentially as the essential prototype to be able to expand to build support structures for not-for-profit labor markets in multiple cities in the United States. 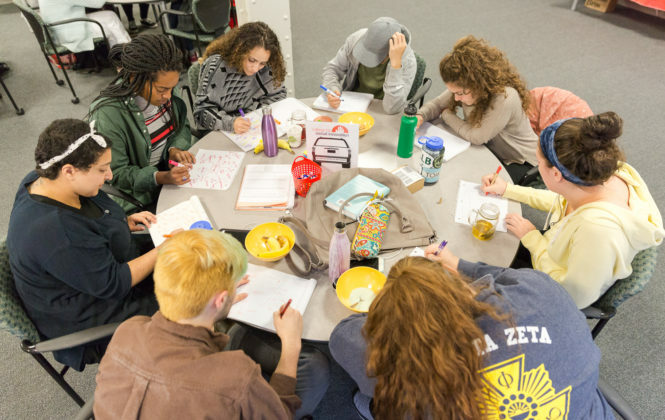 It also presents an opportunity for us to expose students to very different kinds of problems in very different kinds of communities,” Schlesinger said. 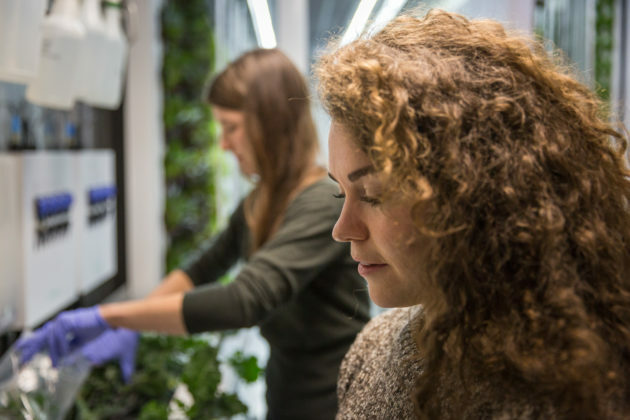 Schwarz hopes that in time, these solutions will culminate in a new workforce which is equipped with the skills to take on the world’s biggest problems. College for Social Innovation is offering college students a chance to change their lives and change the world through a semester-long internship in the social sector. http://collegeforsocialinnovation.org/. Full Story: http://bit.ly/InternshipsSparkChange This story is part of our ‘Do Something Awesome’ series highlighting the educational programs connecting workers to meaningful and sustainable jobs. 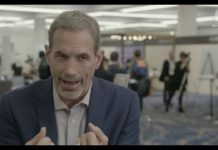 College For Social Innovation from WorkingNation on Vimeo. Join the Conversation: Tell us your thoughts on our latest Do Something Awesome video on our Facebook page.